A pleasant smelling, user-friendly fly repellent containing a mixture of aromatic oils carefully formulated to deter flies and other unwanted flying creatures. Fly OFF from the Supreme Products Horse Care Range can give protection for up to a week if applied carefully and brushed in to the coat (unless shampooed out). Fly OFF can be used as a conventional fly spray to kill wasps, flies, ants etc. Do not spray around eye area - we recommend applying to the area around the eyes with fingertips or soft cloth. 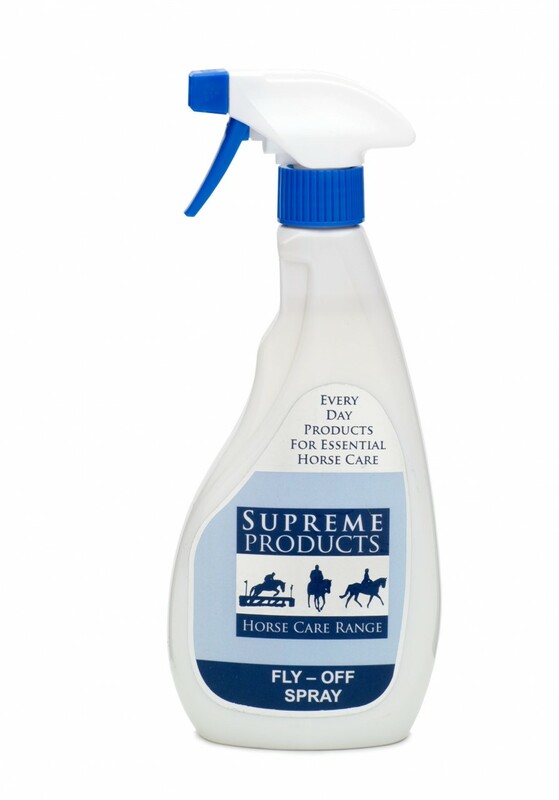 There are currently no questions for Supreme Products Fly OFF Spray for Horses - be the first to ask one!